Get the first-person view of your next flight with the Yuneec SkyView headset. It's fun to watch from the ground as your drone zips overhead and off toward the horizon. But imagine how thrilling it would be if you were piloting the 'copter from the inside, like a real pilot? 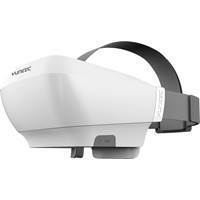 The Yuneec SkyView headset gives you that feeling, with a 5" wide-format, HD screen tucked inside an enclosed headset. 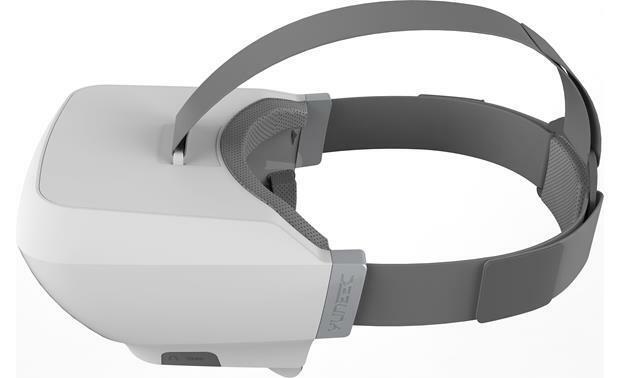 The headset is designed with your comfort in mind, with an adjustable strap and a roomy interior compartment that can even fit over your glasses. The SkyView is compatible with the Yuneec Typhoon H, Typhoon H with Intel® RealSense™ and Tornado H920 drones. So far so good. Still getting comfortable using it. 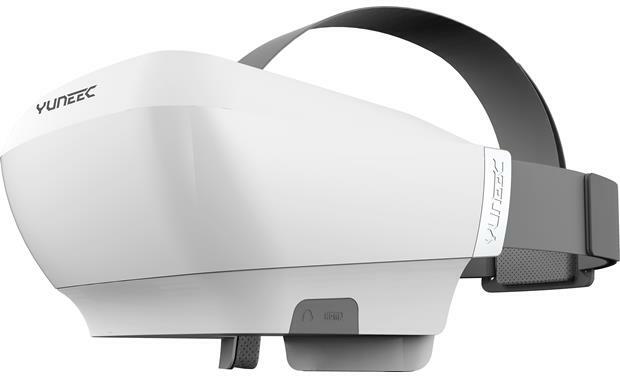 SkyView FPV Goggles: The Yuneec SkyView (YUNTYSKL) is an enclosed FPV (First Person View) goggle headset compatible with Yuneec's Typhoon H and Tornado H920 aerial drones. 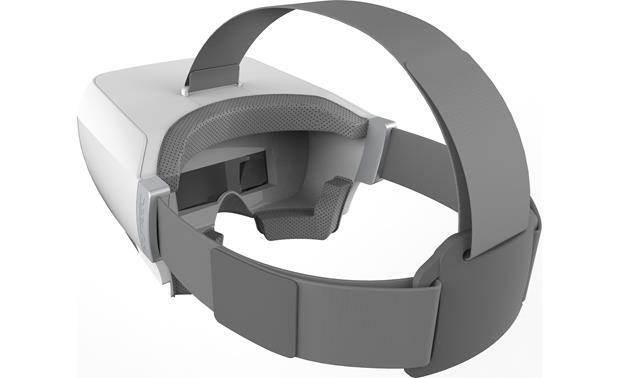 As you operate the camera of the drone, you see exactly what the drone sees through the FPV goggle headset, as if you were on board. Compatibility: The Yuneec SkyView (YUNTYSKL) is compatible with Yuneec's Typhoon H with the ST16 ground controller, Yuneec's Typhoon H with Real Sense + ST16 ground controller, and Yuneec's Tornado H920 with the ST24 ground controller. 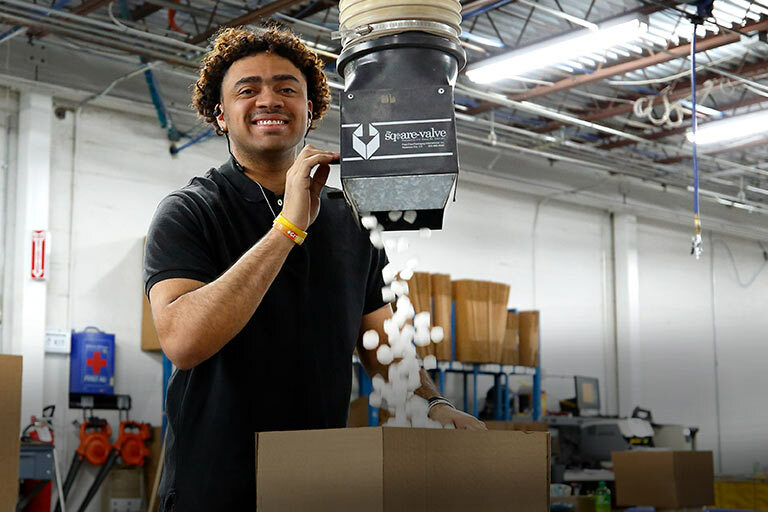 Comfortable Fit: Designed to be ergonomic and durable, the SkyView features an adjustable headband and can accommodate users who wear glasses. 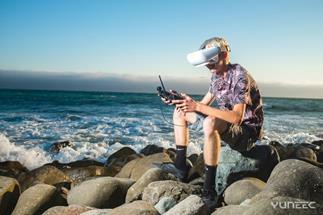 5" Screen: The SkyView FPV goggle headset's built-in 5" screen features live video transmission in 720 x 1280 (720p HD) from your compatible Yuneec aerial drone & controller. The SkyView provides a 75.5° field of view and a 16:9 aspect ratio for a stunning, life-like display which makes it feel as if you are in the cockpit of the drone. HDMI Input: The Yuneec SkyView features microHDMI input and comes with a 41" microHDMI-to-HDMI cable which plugs into the HDMI output of your compatible aerial drone's ground controller. The SkyView's HDMI input can also be connected to the HDMI output of your Blu-ray player or game-console, you can immerse yourself in a movie or video game. Audio Output: The SkyView is fitted with a minijack (3.5mm) audio output for connecting an earphone or set of headphones. 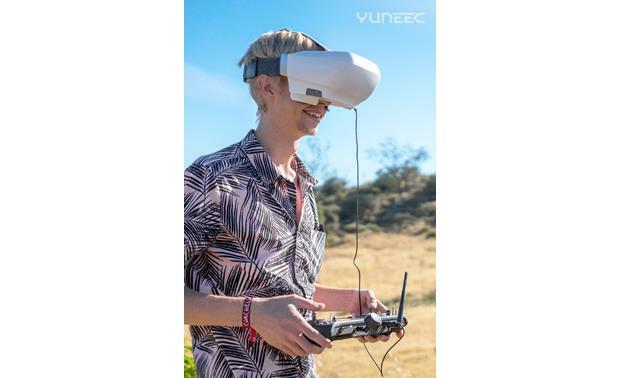 Rechargeable Battery: The Yuneec SkyView FPV goggle headset is powered by a built-in Panasonic lithium-ion rechargeable battery (3.7V/2900mAH) that provides up to 180 minutes video playback. A 23" microUSB-to-USB cable is included and used when charging the FPV goggle headset with a 3rd party USB-AC power adapter (sold separately).